Araku Valley is a hill station in Vishakpatnam district in the Indian state of Andhra Pradesh lying 111 km west of Vishakpatpatnam city. This place is often referred as Ooty of Andhra Pradesh . Coffee was first introduced in 1898 by British in Pamuleru valley in East Godavari District . It spread over to Araku Valley in early 19th century. Araku Valley coffee has come a long way from its humble roots.In 1956, the Andhra Pradesh government established the Girijan Co-operative Corporation (GCC) and tasked it with empowering the local tribals, who until then had traditionally relied on shifting cultivation methods to earn a living. These methods involved burning down parts of the forest, an unsustainable and environmentally-damaging approach. Thus, when India’s Coffee Board tapped GCC to expand coffee production, which usually requires a lot of shade, thereby increasing forest cover, the organisation saw an opportunity to encourage a more environmentally-friendly and lucrative means of employment.Araku Valley is not only a beautiful place but also the home for colourful birds and parrots. The Arabica coffee grown in this region is recognized as unique. Coffee is grown under organic practices under shades of Mango, Jackfruit, Banana and silver oak trees. It also helps in environmental conservation and ecological balances. 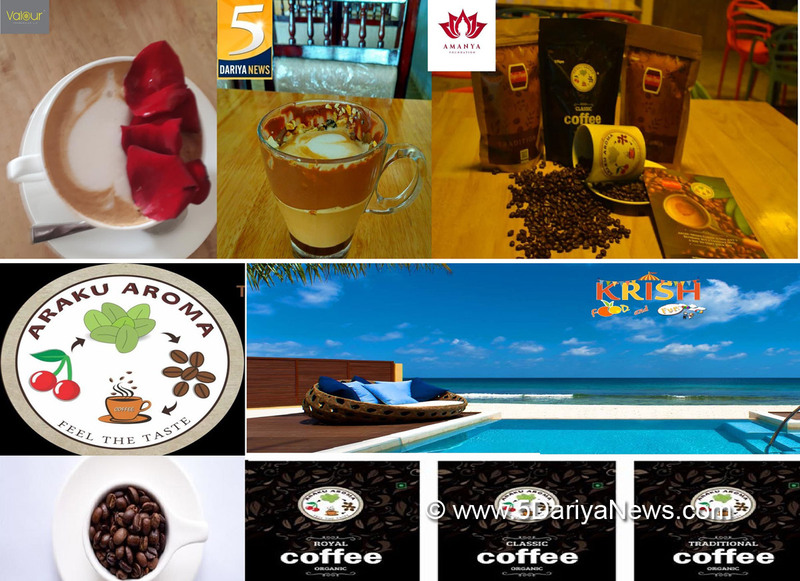 Araku Aroma coffee is the venture of Krish Food & Fun India Pvt Ltd headed by Shri S. Chaitanya who with his experience and Initiative had planned to Increase the Organic Coffee all over India and abroad with “You can’t buy Happiness, You can buy Coffee and that’s pretty close! !” Araku Coffee beans are different from regular coffee beans. At every step, we go to great lengths to make sure our beans meet the highest standard of quality.One of the best things about Krish Food & Fun India Pvt Ltd is that we follow ecofriendly path and focus on high quality coffee without harming the environment . Araku Aroma n Krish Food & Fun Private Limited will be associated with Valour promosales LLP , it’s NGO Amanya and 5 Dariya News for Punjab Haryana Himachal Pradesh , Jammu and Kashmir and Delhi and will be planning Kiosk , Franchise at Simla, Manali, Gurgram , Delhi , Chandigarh, Amritsar , Jammu , Dharmshala and Ludhiana soon .